Hello there! 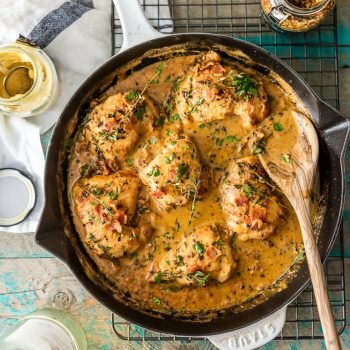 It’s Maryanne from The Little Epicurean with your delicious weekly roundup. There are so many creative ways to dress up your hot dogs these days. Forget about the simple condiments like ketchup and mustard. Let’s think outside of the box! 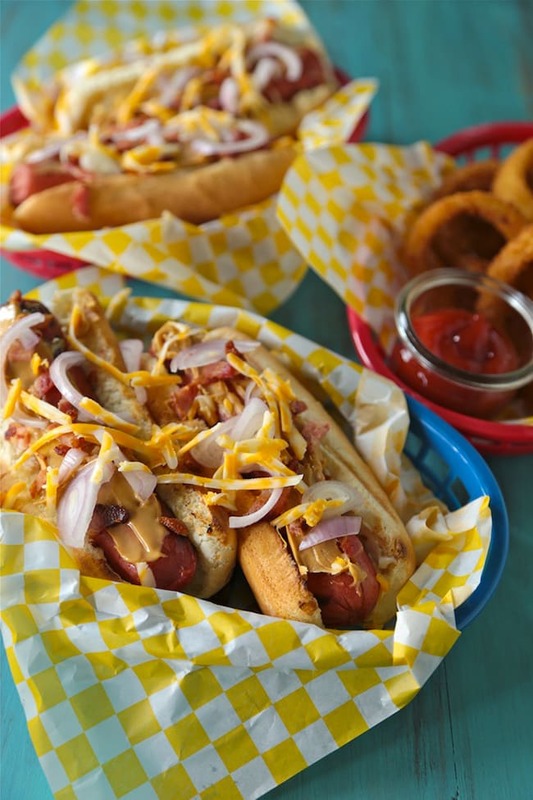 Today we’ve got 16 new ways to eat hot dogs. 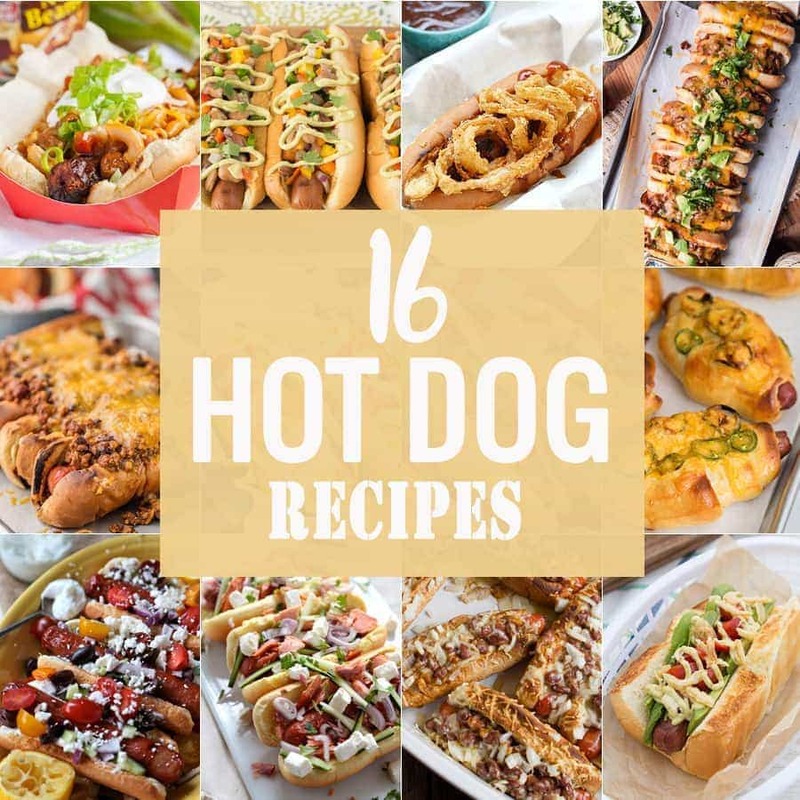 By mixing different flavors and crossing cuisines, you can enjoy hot dogs all year long! 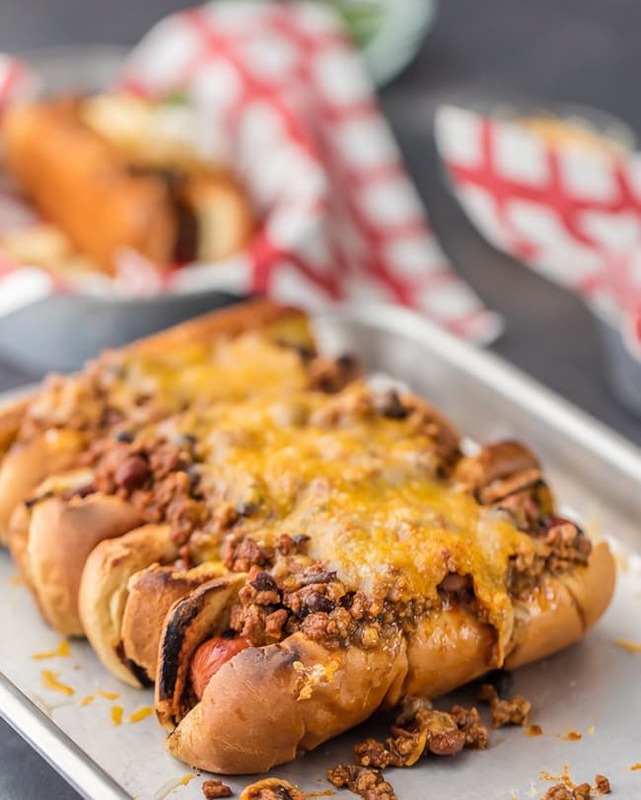 Best Ever Chili Dogs | The Cookie Rookie; This is the BEST EVER CHILI DOG recipe, topped with the best ever chili! 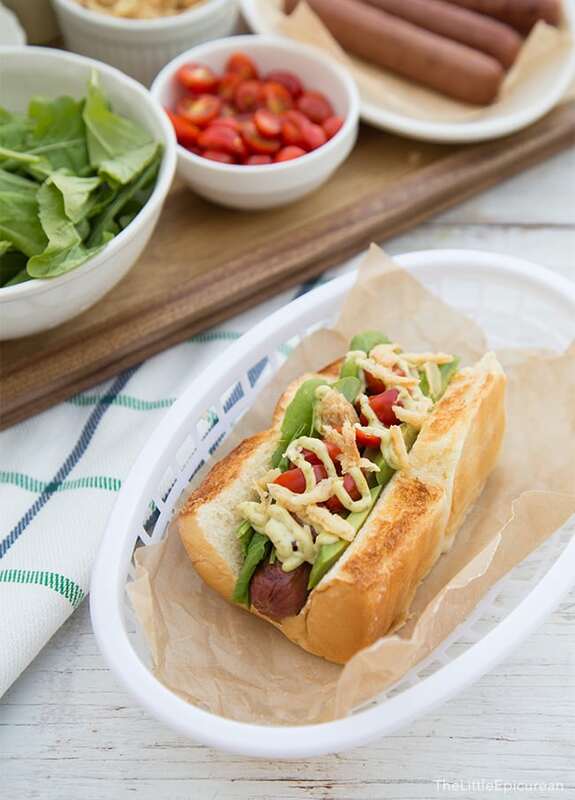 Sooo Cali Hot Dog | The Little Epicurean; This hot dog variation is topped with avocado, tomatoes, arugula, fried onions, and more, all on top of a Hawaiian roll! 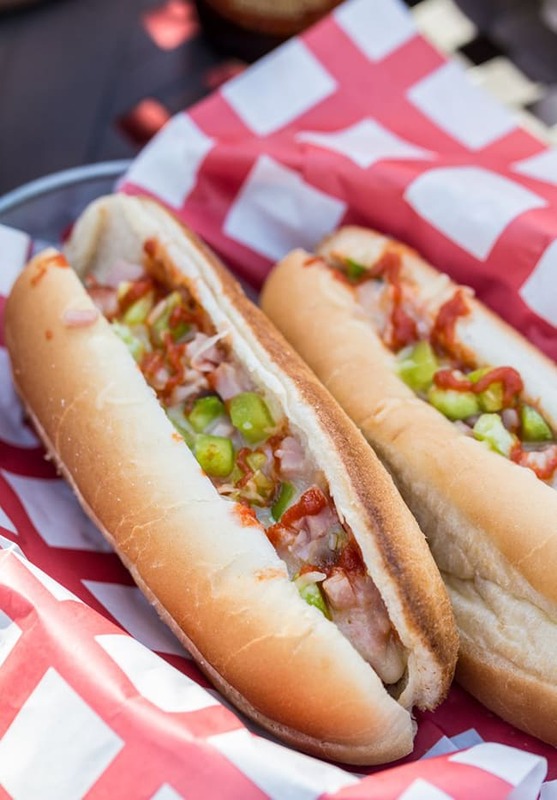 Hawaiian Pizza Hot Dogs | The Cookie Rookie; Hawaiian Pizza Hotdogs are a fun and easy meal on the grill, perfect for Summer! 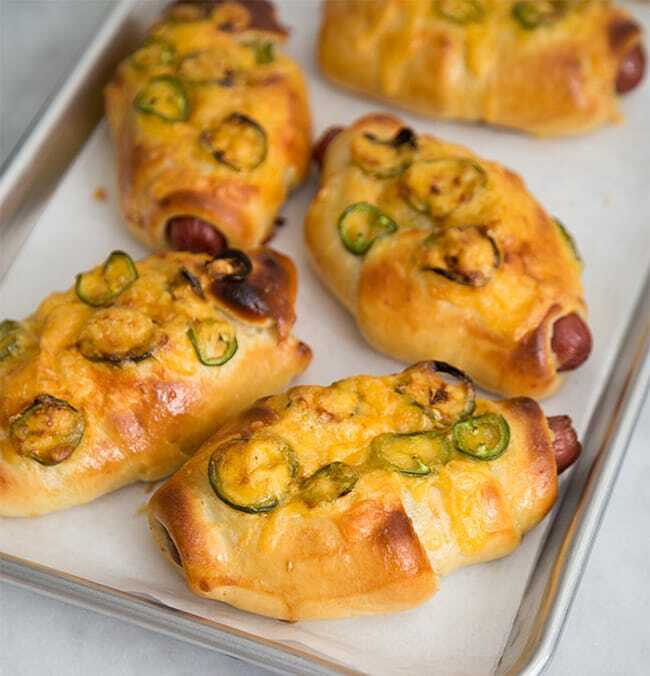 Jalapeño Cheddar Hot Dog Buns | The Little Epicurean; Make these jalapeño hot dog buns to spice up your next BBQ! 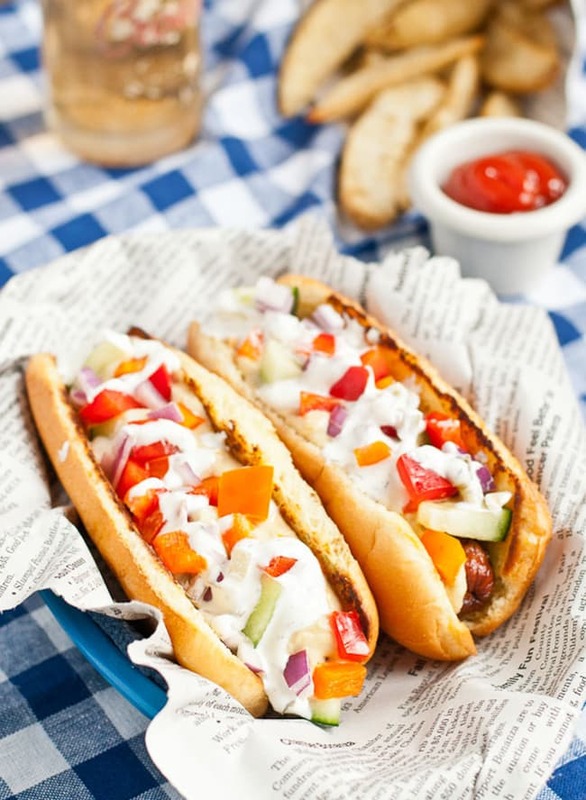 Greek Hummus Hot Dogs | Neighbor Food; Give your hot dogs a Mediterranean twist with hummus, cucumber, red onion, bell pepper, and more for freshness with every bite! 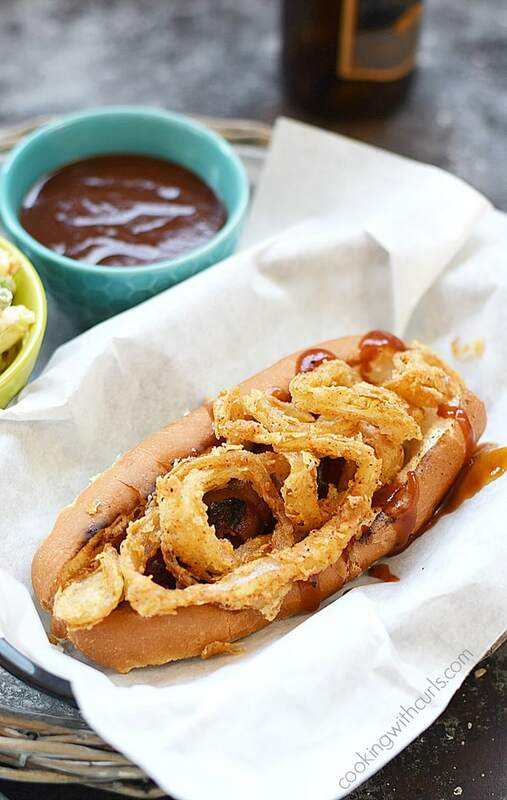 Barbecue Bacon Hot Dogs | Cooking with Curls; These barbecue bacon hot dogs are wrapped in bacon and topped with crunchy onion rings! 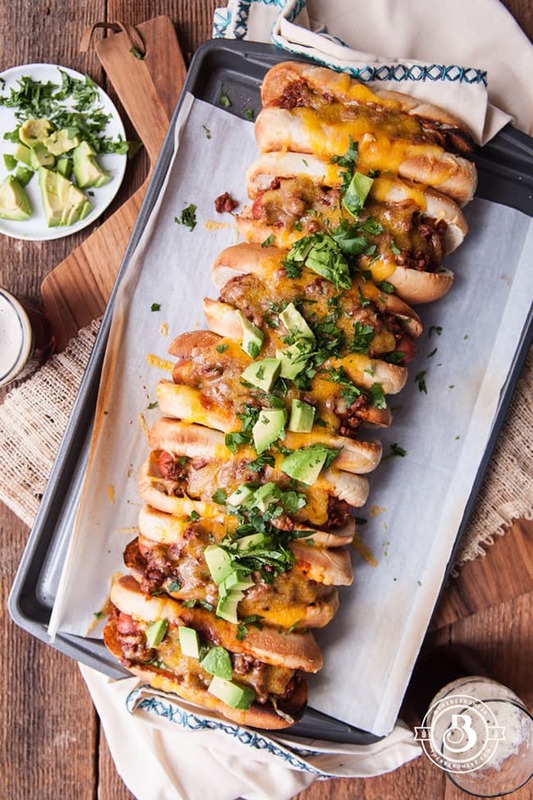 Beer Chili Party Dogs | The Beeroness; It’s always a party with beer chili hot dogs! 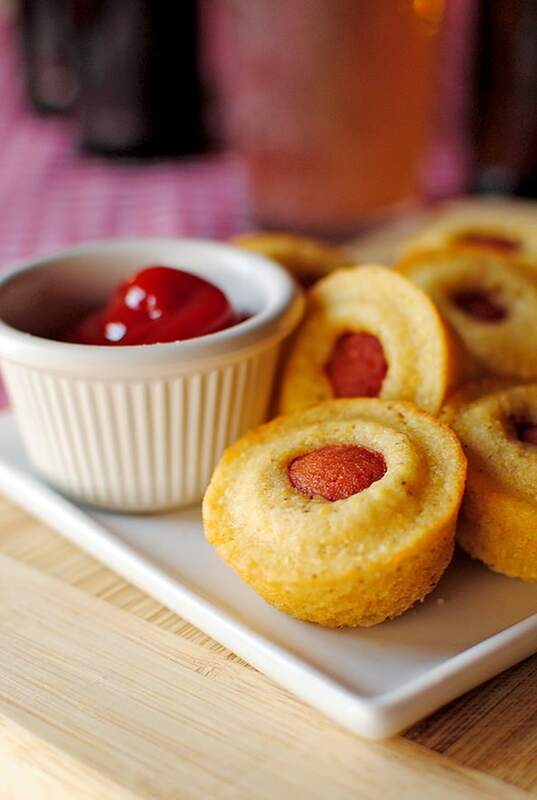 Mini Corn Dog Muffins | Iowa Girl Eats; Make these mini corn dog muffins for your next appetizer! They’re a fun and unique twist on the classic corn dog! Peanut Butter Bacon Hot Dogs | Country Cleaver; These peanut butter bacon hot dogs will wow your tastebuds! 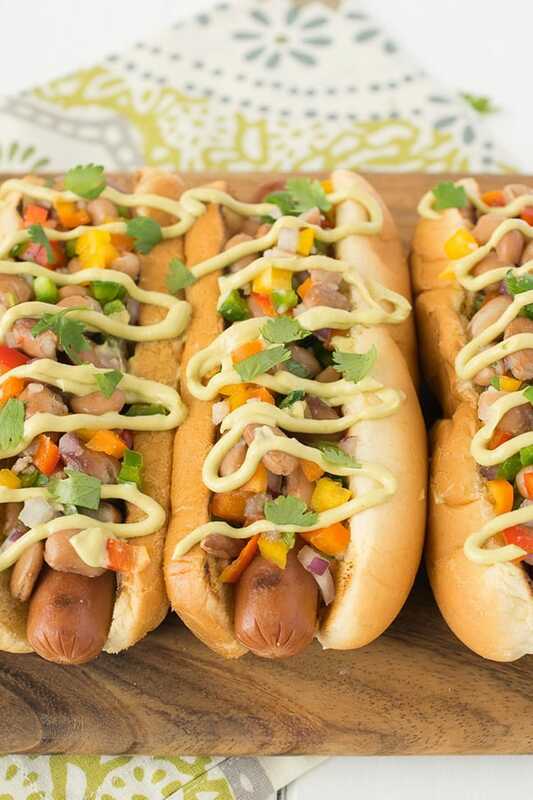 Mexican Style Hot Dogs | Culinary Ginger; Mexican style hot dogs are topped with fresh pinto bean sweet pepper salsa and avocado chipotle crema! Summer is close to an end but I still can’t get enough hot dogs..heheh! The best Summer picnic food ever! 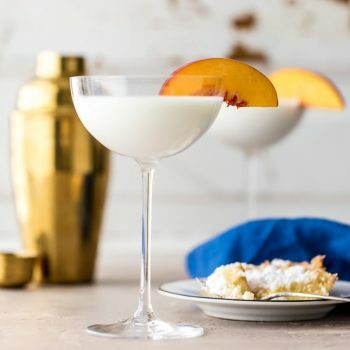 What a great list of some fancy pants delicious. Mexican Mole Hot Dog | Country Cleaver stood out to me for sure! Helllllooooo amazing hot dogs! I could eat one of each of these! Ummmm.. I’ll take one of each!! 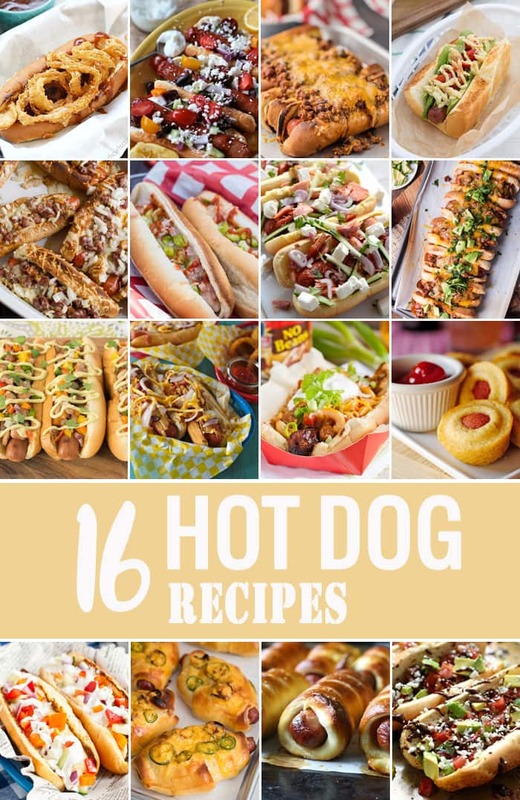 Had no idea that you could do THIS many things with hot dogs! Another delicious way to make “hot dogs” is what we call “Aussie Dogs” here in Australia! You roll hot dog franks, diced bacon, cheddar cheese & ketchup in puff pastry. Brush with egg wash & cut into desired lengths. Bake until pastry is puffy & golden brown. Serve with more ketchup if desired. :-) YUM!! Thanks for this post! These look like some great recipes. A simple hotdog is good, but it can be so fun to try out different recipes. I will definitely be testing the Greek hot dog soon.